I'll be in Osaka, Kyoto and Tokyo for about a week at the start of November and would love to see some stars on a starry night. Unfortunately, I don't have a driver's license and I don't know anyone in those areas. I believe my best bet is to take a train out of the city for the opportunity. Since I already book my hotel in those areas, I don't want to stay overnight so I would like to come back after I take in the view. Is it possible to star gaze in this situation? Edit: I really appreciate the comments and suggestions for alternatives, but I'm focused on just those areas in Japan. I haven't lived in Osaka or Kyoto, but in Tokyo you could try Okutama Lake (a dam lake) in Okutama Town, which is in the most western part of Tokyo and away from the Metropolis. According to this site (2016) it's one of the best places for stargazing in Tokyo. Note that you also need to take a bus in addition to traveling most of the way by train. This link provides more information including access. I added below map in case you don't read Japanese. You should take the bus at bus stop no.2. A larger map (Japanese) can be found here. There is a timetable in this link and this link. I added below diagram to show you the available trips to the lake. 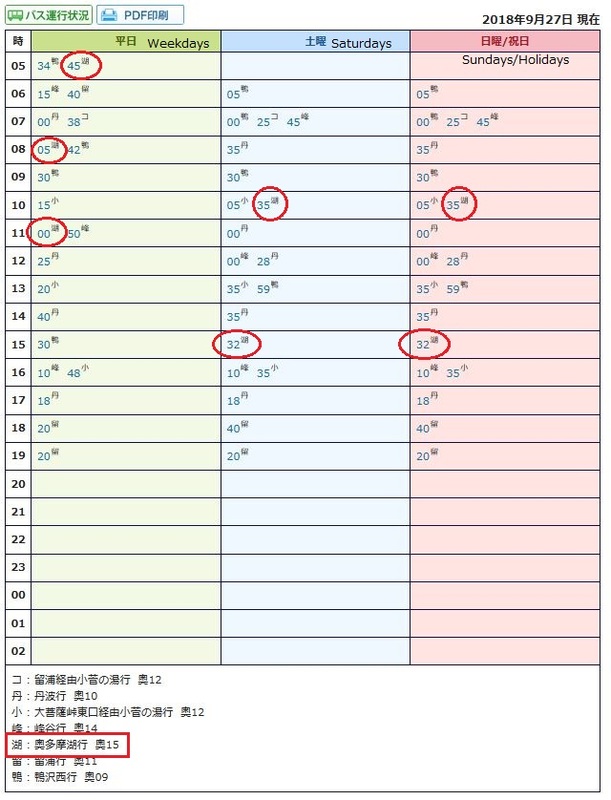 So from the lake to Okutama Station, on Weekends you can take the 19:18 or 20:18 bus, and on Sat/Sun/Holidays you can take the 19:37 or 20:17 bus. Hope that the weather will be fine if you decide to go. Enjoy but careful not to miss your ride! Is it possible to star gaze in this situation? Japan is a very highly densely populated country, and very highly developed. Therefore, it has a very large amount of light pollution. The cities you are visiting are some of the largest cities in the world. You might get some reasonably good night skies in remote corners of Japan such as on Hokkaido, but you can't reach any of those for an evening trip, in particular not with a destination reachable by public transportation, which are always populated places (in some areas, buses may be able to drop off passengers along the road away from official stops, I've seen this in Sweden, Norway, and Iceland, but I don't know if this works in Japan; for trains, such a service is extremely rare / essentially non-existent). See this darksitefinder map that Michael Seifert linked in his comment. You mentioned that you live in New York. For stargazing reasonably close to your home, I recommend the Adirondack Mountains when skies are clear. It depends on your expectations, the weather and the time the sun sets. Although I never saw anything near the clarity of the night sky in comparison to places like rural Quebec, I was able to see many stars once outside of Japanese cities. Indeed the cities you've mentioned are quite large and have accordingly large light pollution. It seems unlikely that you'd get a satisfactory view on a metro line. Trains are quite good in Japan so if may still be possible to have the experience using a regional train. 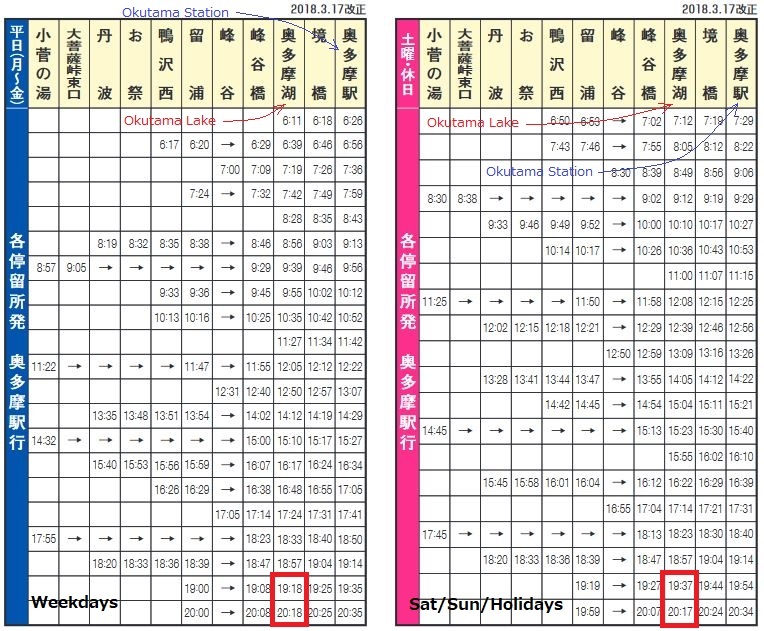 The main caveat is that public transportation stops running rather early in Japan so you'll need to plan carefully to make sure you have time, especially during summer when the sun sets later. Of course you'll also need to consider cloud cover, since it's not uncommon for the sky to be overcast in Japan. One place I was able to see a decent amount of stars was near Yamanashishi, despite some local light pollution. Yamanashi is about two hours outside of Tokyo by train. Specifically, there is a great view from the pools of the Hottarakashi Onsen which is about an hour hike up the mountain from Yamanashishi Station. The last train back to Tokyo leaves around 10p, so this may only be doable as a day trip in winter when it gets dark early. Not the answer you're looking for? Browse other questions tagged japan star-gazing or ask your own question.